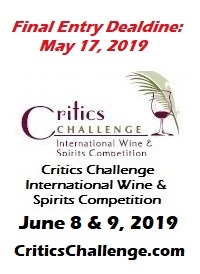 Throughout the weekend of the eighth annual Sommelier Challenge International Wine & Spirits Challenge in San Diego, California, the judges made a point of noting an improvement in the quality of entries from the previous year. The results reflected the initial impression as the assembled professional sommeliers, which included Master Sommelier Bob Bath of The Culinary Institute of America, awarded medals to 66 percent of the entries. 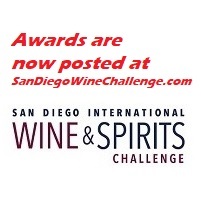 The 2015 Somm Challenge saw a medal percentage under 50 percent. Looking back, I see a couple of reasons for the uptick. First, the vintages were better. The previous year saw a great number of wines from California's spotty 2011 vintage. With the transition to the excellent 2012 and 2013 vintages, it stood to reason that the wines entered this year would be more impressive. Second, the push by the E. & J. Gallo winery of Modesto, California, is bearing fruit of a different kind. In recent years, Gallo has added upscale California wineries, such as J. Vineyards and Talbott, as well as the excellent northern Italian wineries Allegrini and Pieropan, to its already impressive portfolio, which includes Napa Valley's Louis M. Martini and William Hill Wineries, and the outstanding Russian River Valley MacMurray Estate. These wineries, along with Gallo's wide array of value brands, captured an astonishing 82 of the 718 medals awarded. Talbott's 2013 Diamond T Vineyard Pinot Noir (from Monterey County for $52) was named Wine of the Year. And for its overall excellence across the spectrum — from $9 value wines to $50 vineyard-designate wines — Gallo has been selected Winery of the Year. The 2016 Sommelier Challenge was the second-largest in the series with 1,100 entries. It yielded several other stunning performances from well-regarded wineries. In alphabetical order, the standout performers included the following. Alexander Valley Vineyards with two platinum awards, one for the 2014 Homestead Red Blend, Alexander Valley, $20; and one for the 2014 Cabernet Franc from Alexander Valley, $28. The Cab Franc was one of my personal favorites from the weekend. Bolla, the vastly improved northern Italian winery imported by Banfi Vintners, won three platinum awards: 2011 Amarone della Valpolicella, $45; 2012 Torr'Alta, Veronese IGT, $20; and 2011 Creso, Veronese IGT, $25. Coppola, as in Francis Ford Coppola, won 23 medals overall, including four platinums for the Archimedes 2013 Cabernet Sauvignon, Alexander Valley, $75; 2014 Francis Ford Coppola Diamond Pinot Noir, Monterey, $18; 2014 Director's Cut Cabernet Sauvignon, Alexander Valley, $29; 2014 Director's Cut Pinot Noir, Russian River Valley, $27. Given the price of top-notch pinot these days, the two pinots are a steal. Dandelion Vineyards, an Australian winery developing a solid reputation for consistently producing high-quality wines, took home eight medals — all gold or better, including one platinum for the 2016 Wonderland of the Eden Valley Riesling, $55. J. Lohr, the Paso Robles, California, powerhouse built by Jerry Lohr through passion and persistence, took 19 medals overall. It won two platinums for the 2012 Cuvee PAU, Paso Robles, $50, and the 2014 Gesture GSM, Paso Robles, $30. The latter is just a beautiful example of a red Rhone-style blend, especially from Paso. Navarro Vineyards, a small family-run estate in Mendocino's Anderson Valley, impressed with a run of 13 medals. The two platinum medals included: 2014 Pinot Noir, Deep End Vineyards, Anderson Valley, $55; 2015 Chardonnay, Anderson Valley, $25. The beautifully balanced chardonnay is an encouraging turn away from the trend of overblown chardonnays in California. 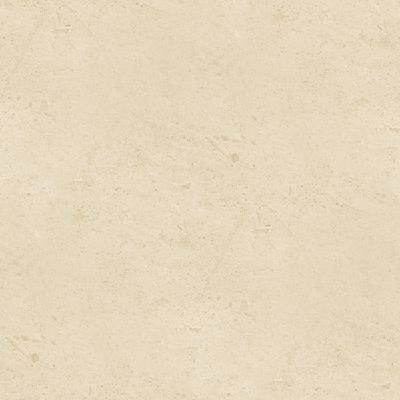 Sutter Home struck a blow for value and quality in the under-$10 category with 13 medals, including four golds. These wines don't fit the conventional definition of greatness in wine, but overall it is a great achievement to produce such solid quality at the $6 price point. Thornton Winery in Temecula, California, was once thought to be the benchmark for Temecula wine, but the winery fell upon hard times after star winemaker Jon McPherson departed for South Coast Winery several years ago. After a couple of disastrous vintages, winemaker David Vergari was brought in to restore Thornton to its former glory. Thornton won eight medals, including two platinums: 2014 Cabernet Franc, $39; 2014 Chardonnay Reserve, $39. Given this, you have to conclude that Thornton is back! V. Sattui may be last, but it's certainly not least. The Napa Valley icon took 16 medals, including two platinums (2013 Cabernet Sauvignon, Mount Veeder, $85; 2014 Zinfandel, Ancient Vine, Qualglia Vineyard, Napa Valley, $45). V. Sattui also racked up eight gold medals. Its wines are sold only at the winery, which has the finest picnic grounds in the entire Napa Valley. Complete results for the 2016 Sommelier Challenge can be found at SommelierChallenge.com.